You will be beaten in synagogues and be put on the stand before governors and kings.—Mark 13:9. As those words indicate, some Christians will face tribulation in the form of physical persecution, perhaps at the instigation of religious or political leaders. Consider Paul’s example. Did he cower at the thought of being subjected to such persecution? Not at all. Paul bravely stood up to Satan’s frontal attacks and stated: “I do not consider my own life of any importance to me, if only I may finish my course and the ministry that I received from the Lord Jesus, to bear thorough witness to the good news of the undeserved kindness of God.” Clearly, Paul did not feel intimidated by the prospect of persecution. On the contrary, he was determined to endure, come what may. His primary concern was to “bear thorough witness” despite any tribulation. The Watchtower had been pointing forward to the date for several decades and as that fateful year drew near anticipation grew. Half the year had passed uneventfully. But then on June 28th, 1914, the heir of the throne of the Austrian-Hungarian Empire was assassinated. That singular event triggered a spasm of demonic madness. By August virtually all the major powers of Europe declared war upon the nations belonging to the opposing bloc. By October the First World War had officially begun and C.T. Russell confidently announced that the kings of this old system had had their day. The Bible Students were no doubt impressed by the uncanny accuracy of Charles Taze Russell’s prognostications. Surely the war would lead into global anarchy and the battle of Armageddon, as Russell had also indicated. But beyond the outbreak of war in Europe nothing unfolded as expected. Instead of leading his flock into the kingdom, as some were expecting, Pastor Russell unexpectedly passed away. A power struggle ensued among the Bible Students at Bethel headquarters. A relatively unknown leader emerged in J.F. Rutherford, who was then promptly arrested and sentenced to 20 years in prison for espionage. But then the Great War suddenly ended. And after the Spanish Flu swept the globe in a few months and killed more souls than the war itself, the Bible Students who emerged from the turmoil who remained loyal to the Watchtower were less than half the number who had been associated prior to 1914. It was a great shake out. Now we find ourselves at the brink of yet another war, even a third world war. And instead of deploying horse drawn artillery and machine guns, all the major prospective participants of the impending war are nuclear powers. However, this time the seers upon the watch tower have assured Jehovah’s Witnesses that there cannot be another world war. Everything in prophecy has already been fulfilled. Instead, the Governing Body steadfastly maintains that the only event on the horizon is the great tribulation, which is due to erupt at any moment and will come about when the United Nations suddenly sets about on a global campaign to eradicate religion. Although there is no indication that the UN has any such inclination or even the capability, the Watchtower insists that it is very near to doing so. How do they arrive at that conclusion? 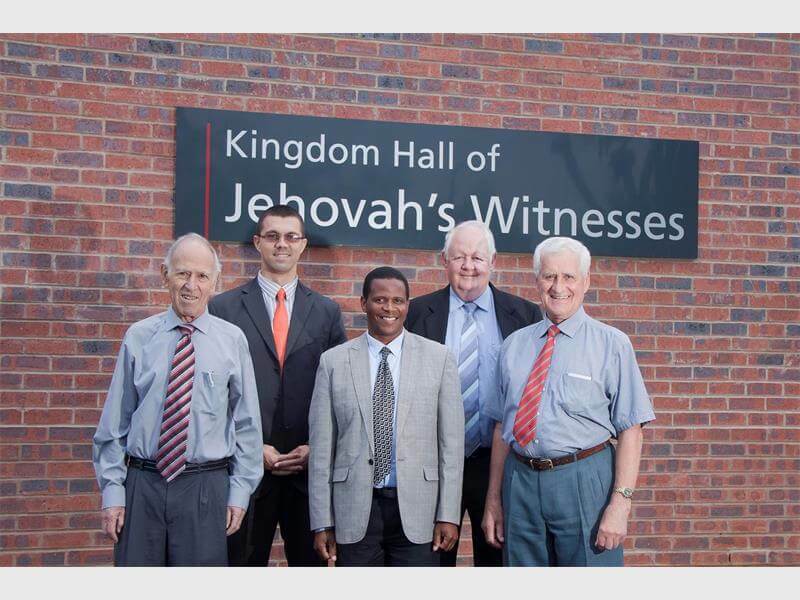 Jehovah’s Witnesses are led to believe that Jehovah has personally revealed his confidential matters to the Governing Body and only they are privy to such communications. Even as the clouds of war gather the Watchtower is doubling down, insisting that our loyalty to God will require demonstrating loyalty to the Watchtower, even in the face of their complete and utter failure to discern the future. So, the stage is set for those who will seek to remain loyal to God to be beaten in the synagogues —the synagogues being the forerunner of the kingdom halls of today.